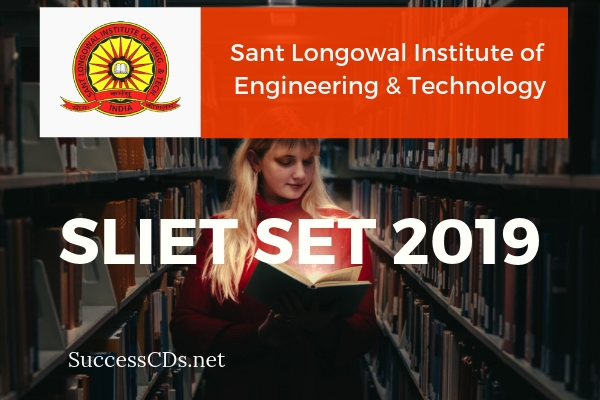 SLIET SET 2019 Notification - Sant Longowal Institute of Engineering & Technology invites applications for admission to Integrated Certificate Diploma (ICD), ICD (Lateral Entry), B .E (Lateral Entry), MBA, M.Sc. and PhD Programs for the academic year 2019-20. The admissions will be made through Sant Longowal Institute All India SLIET Entrance Test (SLIET SET) 2019. 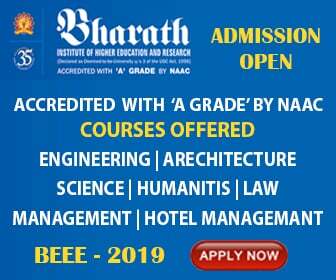 B.E Program admission based on the JEE Main 2019 and M.Tech Program admission based on Valid GATE Score. For students of Integrated Certificate-Diploma (ICD) there is a provision of Veridical Promotion through Lateral Entry into 2nd year of B.E (4 year). Few seats are also available in different ICD Programs under PwD Scheme of Govt. of India. An Interview/Viva-Voce wherein the candidates are required to discuss their research interest/area through a presentation before a duly constituted Dept. Research Committee. For SET-I, SET-1A & SET-III there will be only one paper of two & half hours duration and of 150 marks. For SET-V, the paper shall be of two hours duration and of 100 marks. The syllabi and distribution of marks for SET-I,SET-1A & SET-III, SET-IV and SET-V are given in the Chapter-III, IV, V ,VII and IX respectively and all the syllabus is given in the preceding chapters. Note: There will be objective type questions with four options having single correct answer. For each incorrect response, one fourth (1/4th) of the total marks allotted to the question would be deducted for SET-I, SET-IA and SET-III. There shall be NO NEGATIVE marking for SET-V (Ph.D. Programmes). No deduction of marks will be made in case if no response is indicated for a question in the OMR Answer Sheet.